← Kale, Chard & Collards, Oh My! 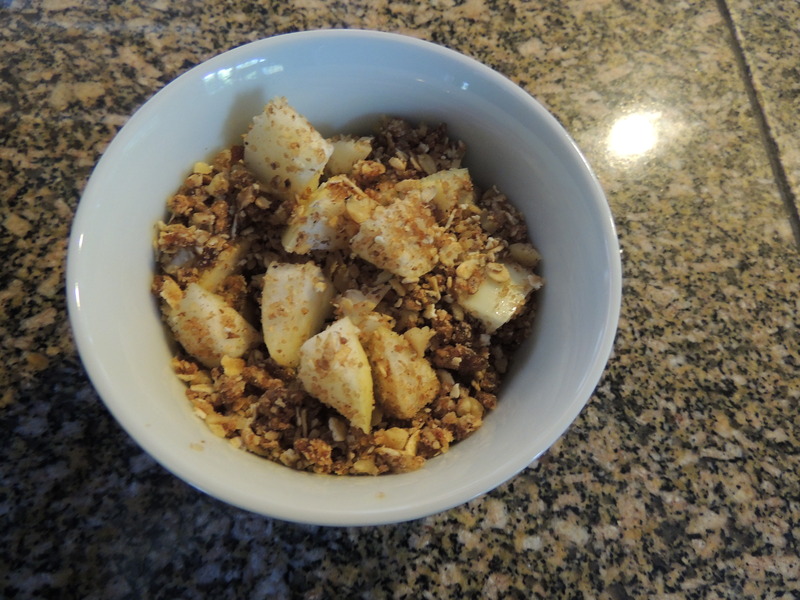 THE PERFECT, SIMPLE, QUICK, RAW BREAKFAST TREAT YOUR KIDS WILL LOVE, SO WILL YOUR BUDGET. This is super cheap, just a few dimes a serving, especially since we gleaned the apples and pick our berries. To make it as least expensive as you can, use sunflower seeds instead of nuts, use honey instead of the other sweeteners and use butter or safflower oil instead of coconut oil. I know, butter is not vegan, to make it vegan, use one of the other fats. Food for the Good Life must be simple and nutritious. This is both. A simple, inexpensive, delicious treat! This entry was posted in Food For The Good Life and tagged Raw Food. Bookmark the permalink.